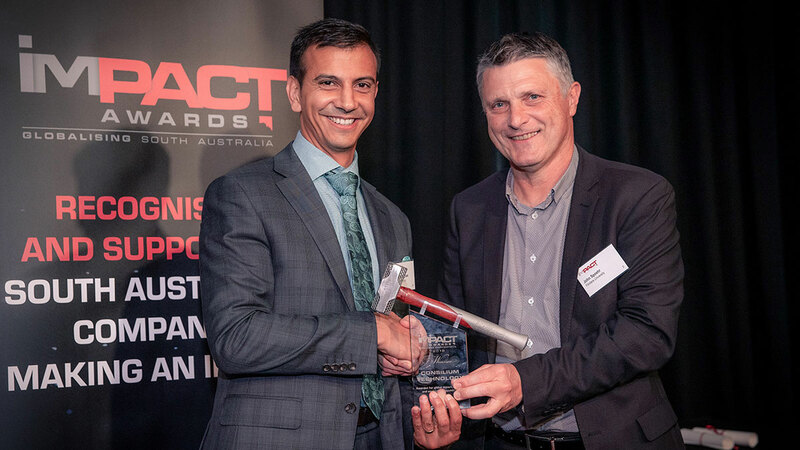 Machine Intelligence company, Consilium Technology, was announced as a 2018 Impact Awards winner at South Australia’s premier business event on 1 November 2018. The Impact Awards is an industry-led movement that showcases South Australian companies with global ambition to represent the State’s future prosperity. The not-for-profit event is supported by South Australian businesses and influencers who are passionate to help the next generation reach greater heights. Founded in 2015, the awards are focussed on assisting companies with the greatest global potential to increase their impact on world markets. International business leaders judged the competitive entries against challenging criteria, including the creation of high-value employment opportunities and improving the local and national economy. Consilium Technology was recognised as having the capability to have a significant impact on global markets to generate high-value opportunities for the South Australian economy. The Adelaide-based company delivers machine intelligence solutions to help organisations make more informed, data-driven decisions. The innovative company brings cutting-edge technology to industry, and is already having a transformational impact within the defence, agriculture, manufacturing, and minerals and energy industries. The judges were impressed by the company’s strategy, year-on-year growth, advancement, and ambition. 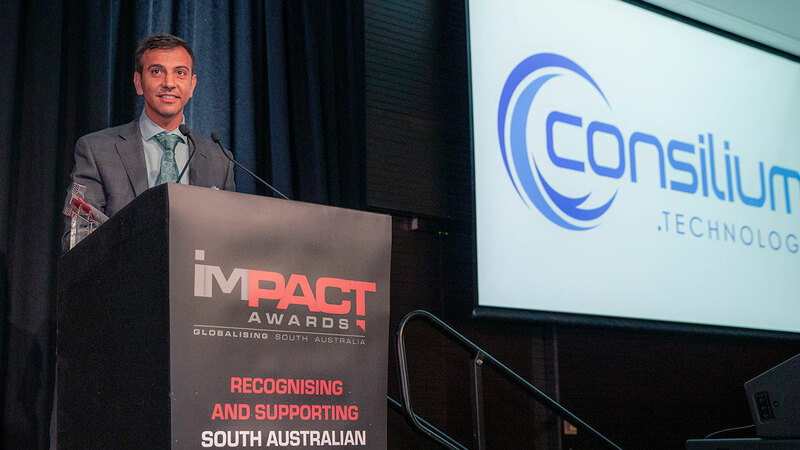 The award was accepted by Seth Thuraisingham, Chief Executive Officer, on behalf of Consilium Technology at the Impact Awards Gala Dinner, attended by hundreds of business leaders and influencers. When accepting the award, Thuraisingham praised the team, his family, sponsors, and the other finalists. “This is not my celebration alone. To all the finalists, well done to you. This is still your celebration. To all the team at Consilium Technology, this is truly your achievement,” he said. Thuraisingham went on to acknowledge the South Australian community and ecosystem that has supported the company’s growth. 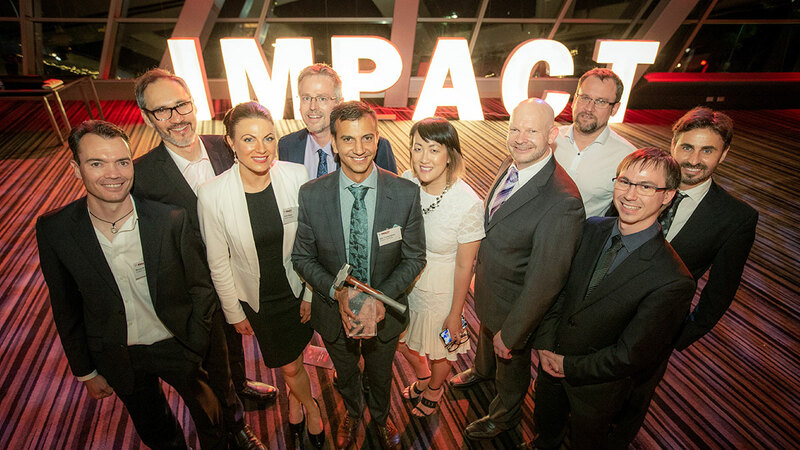 Twenty-four of South Australia’s leading internationalists and business leaders are ambassadors for the Impact Awards. They help the winners create new opportunities by providing access to their networks and years of global expertise. The ambassadors will actively work with Consilium Technology to help accelerate the company’s growth trajectory with connections, knowledge, and passion. “The Impact Awards is the lesson missing in our education system to show other business leaders the art of the possible,” said Thuraisingham. Consilium Technology looks forward to forming new commercial relationships, synergies, and partnerships to accelerate its national and global growth. The company is honoured to have received this highly competitive commercial award and would like to thank the sponsors Office of the South Australian Chief Entrepreneur, Government of South Australia, Flinders University, Australian Centre for Business Growth, Tetracon, ANZ, Defence Teaming Centre, and SMR. Consilium Technology would also like to thank industry partners The CEO Institute and South Australian Leaders, together with the founders and collaborating organisers Adept Technology, Advanced Focus, and Mihell & Lycos for having a profound impact on South Australia’s economy. At Consilium Technology, we fundamentally believe that no organisation should have to explore the future alone. Our core purpose is to help organisations embrace technology and make more informed, data-driven decisions; ultimately increasing their ability to thrive in an ever-changing and uncertain environment. We leverage our strong Defence origins to solve complex problems and bring cutting-edge technology to industry. As an industry leader, we support our customers to harness the opportunities provided by Machine Learning, Modelling & Simulation, and Data Analytics. Our established expertise in Machine Intelligence provides our customers with confidence to navigate the future. They are equipped to respond to uncertainty and risk, making data-driven decisions to retain their competitive advantage. By challenging the status quo, we help our customers identify opportunities for growth and innovation. Our commitment to continuous learning and discovery allows us to push the boundaries and explore beyond the horizon. We are the catalyst for innovation. Join us as we pioneer into the unknown and define what is possible.